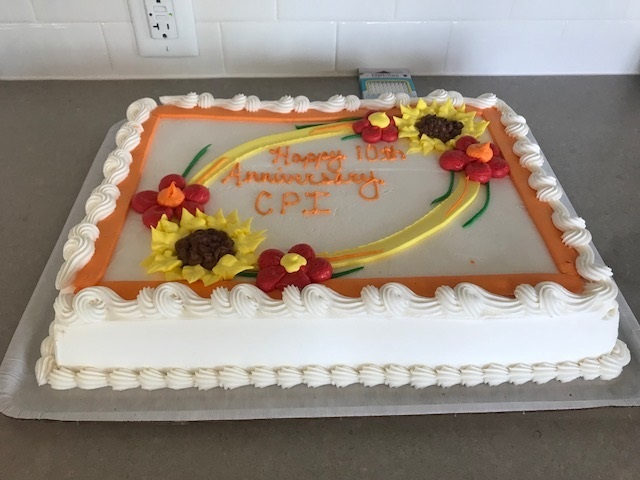 Ten years ago this month, our executive director, Jennifer Santiago, and a small team of dedicated employees set out to establish a support services brokerage: Community Pathways, Inc. (CPI). We are fortunate to have leadership and staff who have been with us since the very beginning. CPI first got its start as a program under the auspice of the Arc Multnomah-Clackamas. With Jennifer's leadership, CPI has grown into the brokerage it is today, serving over 450 adults living in Clackamas, Multnomah, and Washington counties in Oregon. Our mission is to assist people with disabilities to live empowered, self-determined lives through community connections. Guiding our growth, and the work we do on a daily basis, is a set of values centered around upholding the principles of self-determination for all people. We practice and promote person-centered thinking and planning, collaboration, compassion, support, advocacy, and empowerment. We are proud of the support services model we deliver to individuals with developmental disabilities--fellow Oregonians. We look forward to serving our community for many more years to come! If you are interested in supporting Community Pathways and its continued growth, please connect with us. We'd love to hear from you. It's official. 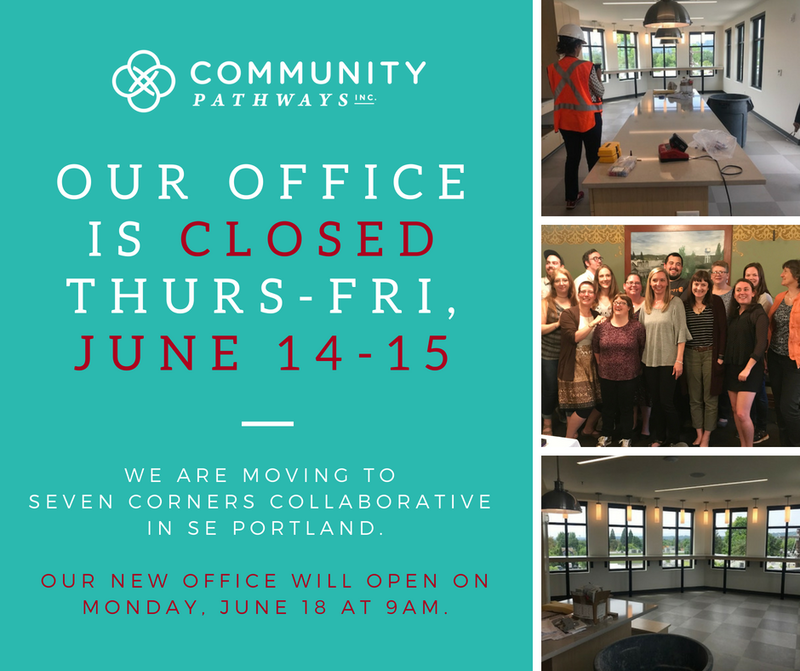 We moved to Seven Corners Collaborative in SE Portland. Now our team is in the process of settling into our new office space. We are grateful to be in a space that's more accessible to the individuals we serve, and to be sharing it with our partners Community Vision, FACT Oregon, and Oregon Council on Developmental Disabilities. 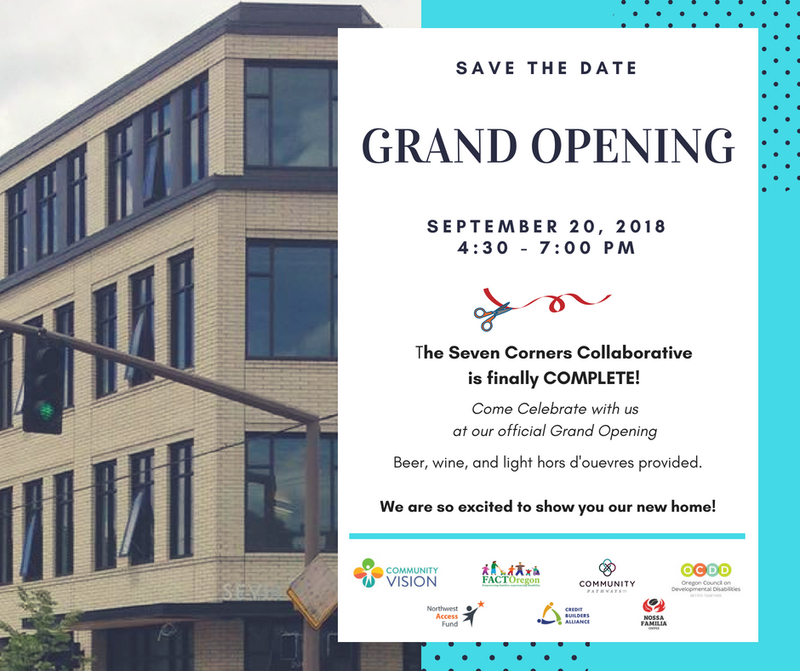 If you're unfamiliar with Seven Corners Collaborative, it is a wedge-shaped building located on the southeast corner of Ladd's Addition, at the intersection of SE Division Street and 20th Avenue across from New Seasons - Seven Corners. 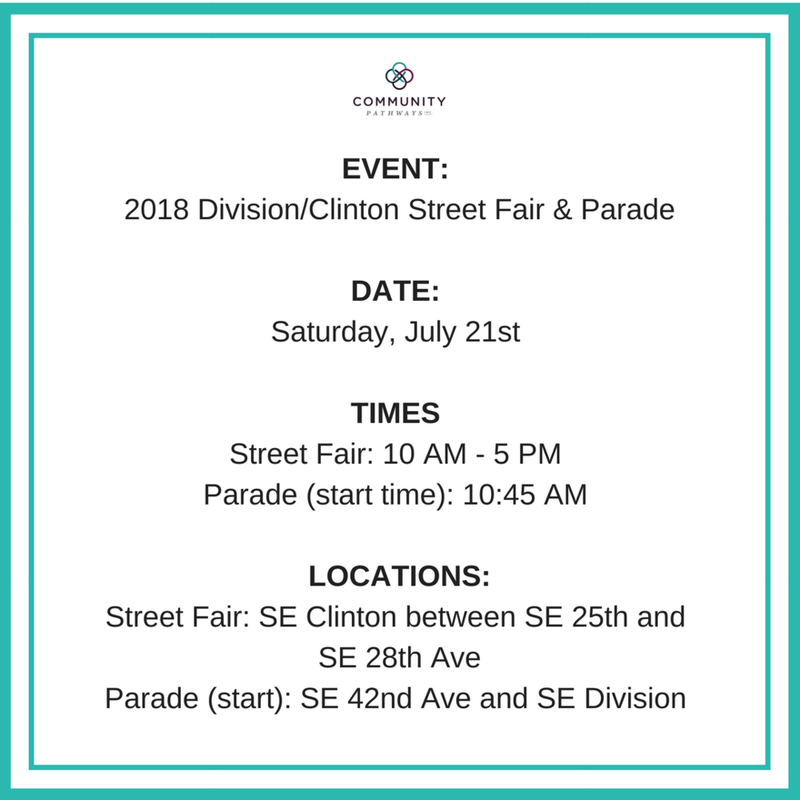 The entrance to the building is on SE Ladd Avenue, and our office is located in Suite 220 on the second floor. We are grateful to share this new space with our partners Community Vision, FACT Oregon, and Oregon Council on Developmental Disabilities. Not to mention: Nossa Familia Coffee is opening a shop on the ground floor. (Hooray for coffee!) To learn more about Seven Corners Community Collaborative, visit http://sevencornerscollaborative.org/ You can also learn more about our partners here.